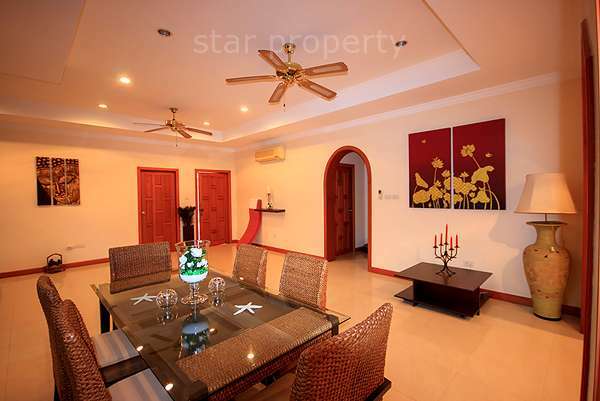 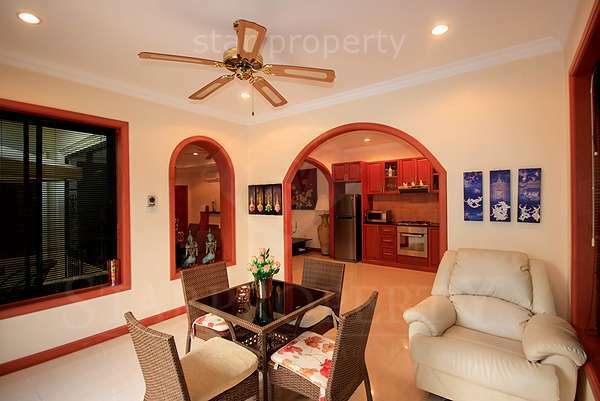 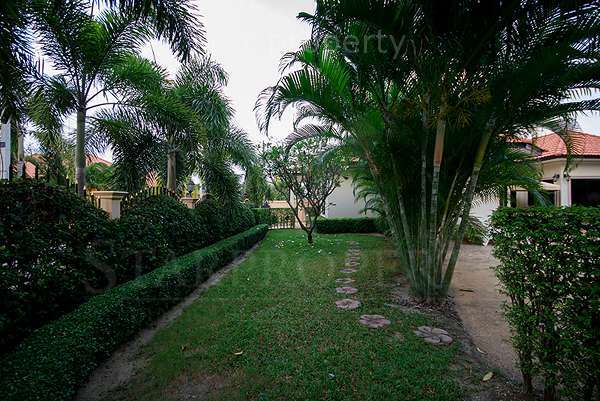 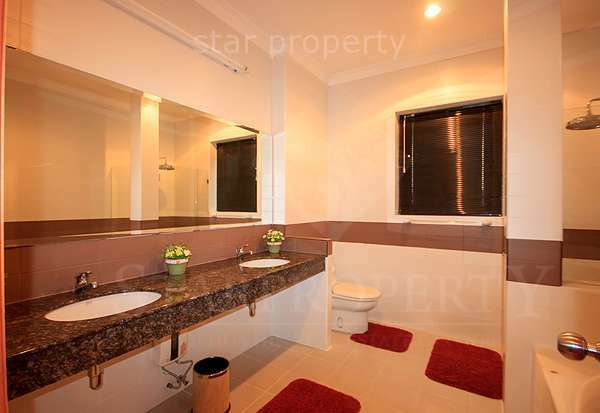 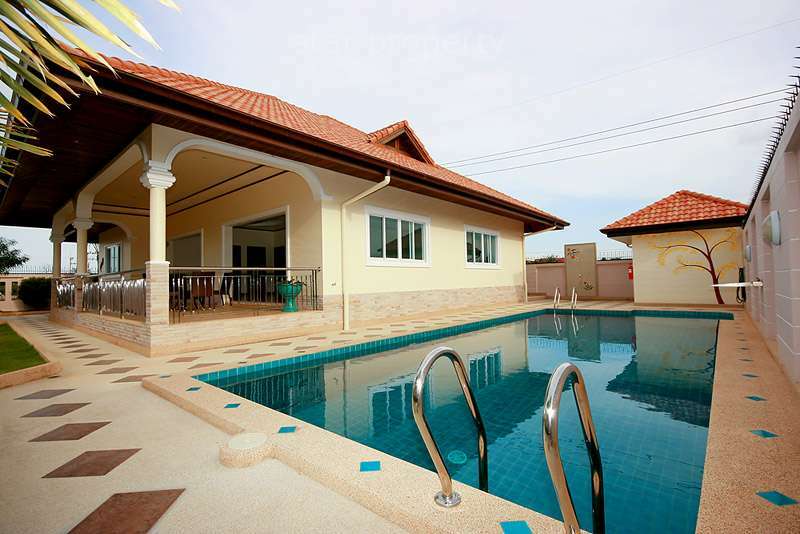 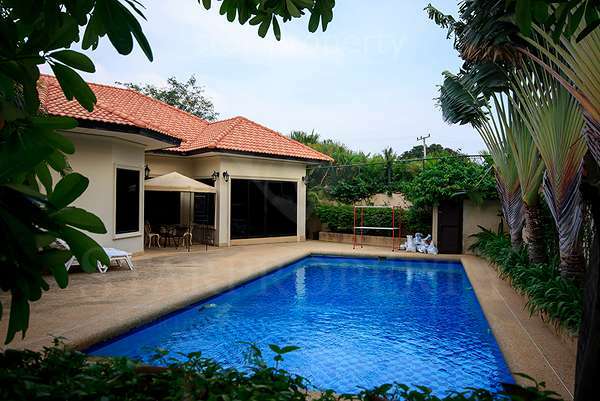 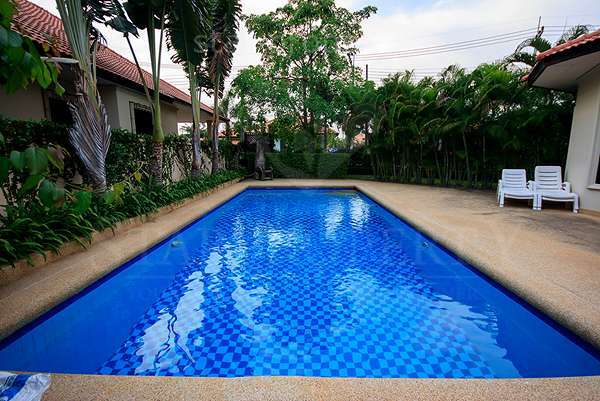 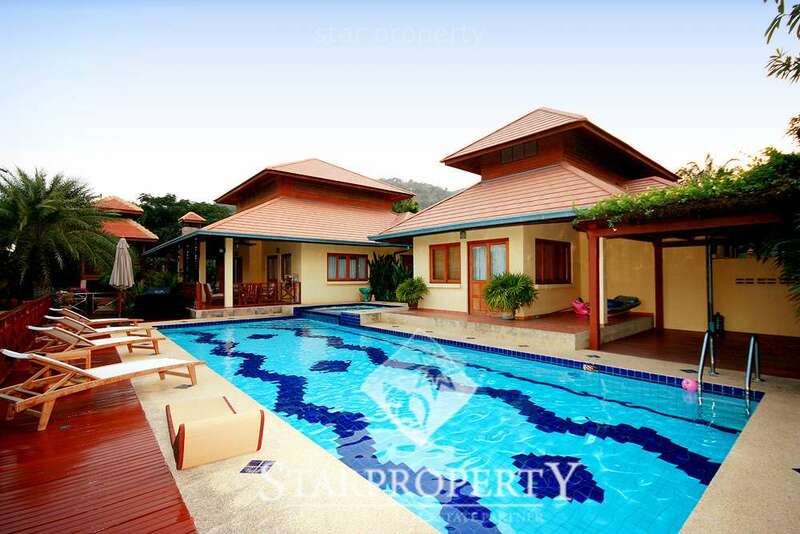 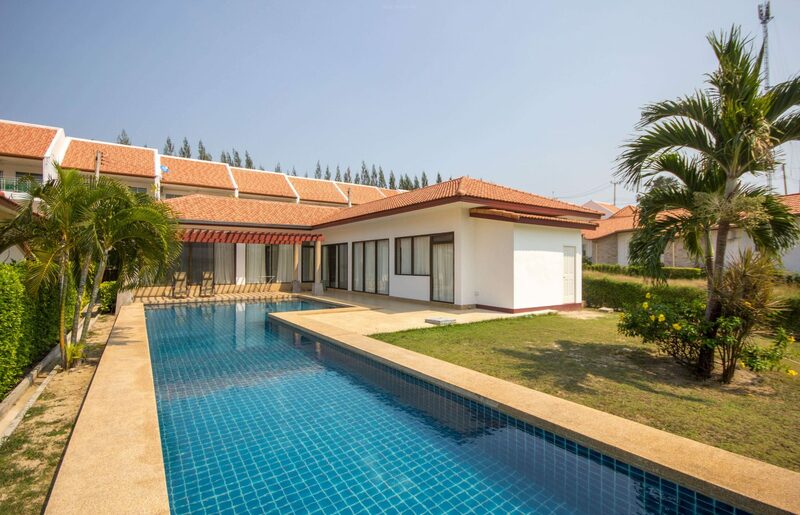 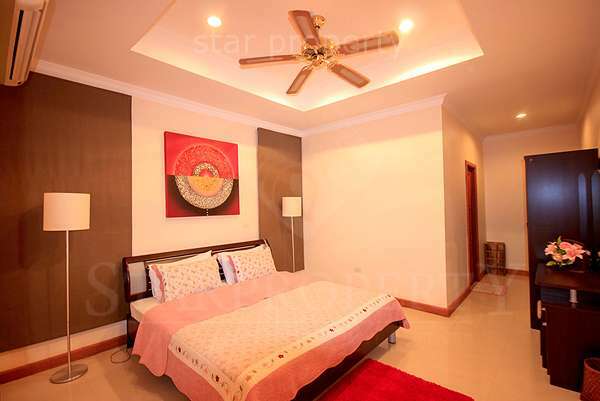 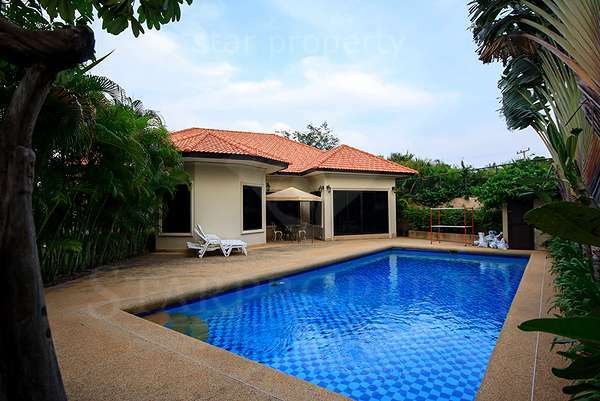 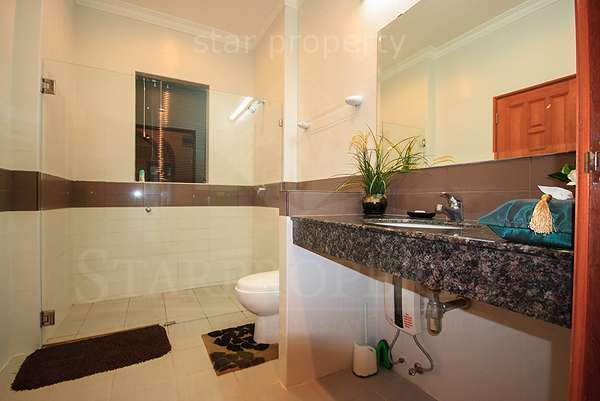 This private bungalow is situated in Soi 114 only a few kilometers from the Market Village. 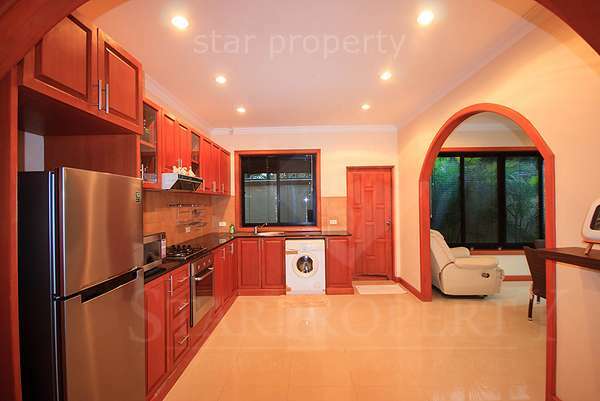 This beautiful home has high quality furniture, & consists of 3 large bedrooms (3rd bedroom is now study) (2 functional bedrooms are both en-suite) 2 bathrooms (master has rainfall shower and bath tub as well as his and hers sinks) Study room with top end printer, scanner, fax, photo copier and land line as well as high speed internet connection. 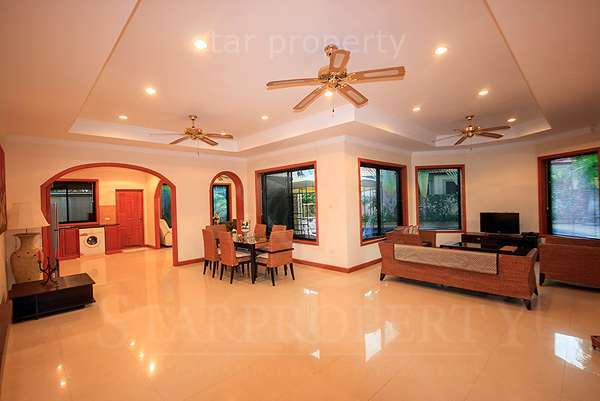 And a spacious living area which adjoins to the kitchen/dining.